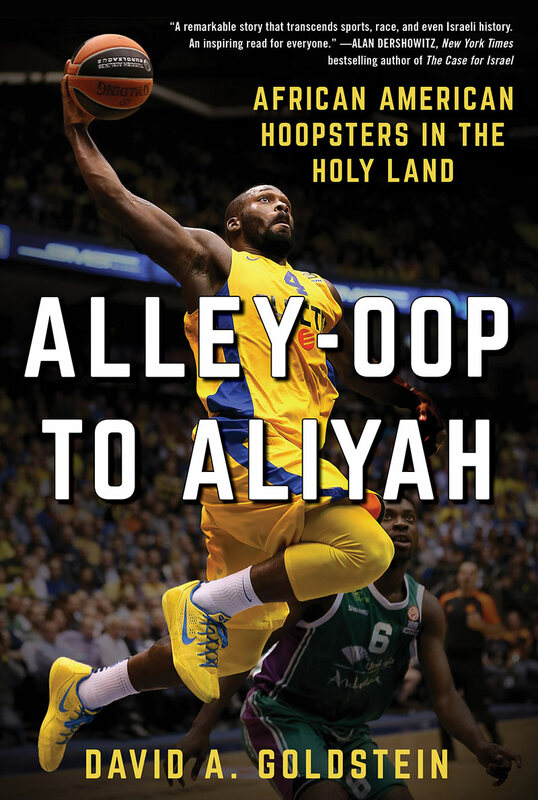 My last blog detailed the decade-long metamorphosis during which Alley-Oop to Aliyah: African American Hoopsters in the Holy Land grew from an idea into a book on the verge of its release. I posted that blog exactly 100 days before the book’s publication date, and while I was excited about being so close to the culmination of the process, I also felt some apprehension. Over the past decade, I’ve become accustomed to having perpetual book-related tasks on my “To Do” list – a player to interview, an event to research, a concept to explore (and, if we’re being honest here, 190-plus book agents by whom to be rebuffed!). I loved that every day brought an opportunity to improve the book in some way, and with my final manuscript submitted I wondered, was my work on this book actually “finished”? Would the next 100 days simply be an exercise in watching the game clock wind down, culminating in a climactic book release, only to be followed by a sudden vacuum? What I didn’t know at that point was that while the book may have been completed, my work was hardly done! The biggest difference between the last few months and the 10 years prior is the introduction of a whole new group of people into my book publishing experience – readers who aren’t members of my immediate family! Once I completed my manuscript my main responsibilities were to secure “blurbs” about the book, short reviews from subject matter experts, and to promote the book and encourage the media to cover it. So, after a decade of having the manuscript carefully scrutinized exclusively by my parents and brother, followed by rounds of edits from my own editors and my amazing publishing company (Skyhorse Publishing), this summer marked the first time Alley-Oop to Aliyah saw a broader light of day. While I was definitely a bit nervous about the feedback I would receive, it was also exciting to finally be able to give this incredible story its rightful broader exposure. I was determined to aim high with my blurb requests, and didn’t concern myself with the concept of what was “realistic”. That’s why, in the middle of a Tuesday afternoon this summer, I uncorked a literary equivalent of a full-court heave, sending a “cold call” email to Alan Dershowitz. Before he was a world-renowned lawyer, Harvard law professor, and author of New York Times Bestseller “The Case for Israel”, Dershowitz was a high school basketball player. I figured that if basketball and Israel are both close to his heart, I had at least an above-zero probability of a positive reply. Less than three hours later, I was rendered speechless after checking my email to find that Professor Dershowitz replied and asked for a copy of the manuscript. A few weeks later he emailed me a blurb, which I’m thrilled was selected by Skyhorse to appear prominently on the front cover of the book. Professor Dershowitz’s comments can be found on the Reviews page of this site. In addition to securing blurbs, I’ve also been reaching out to traditional print journalists, bloggers, podcasters, Youtube aficionados, and more – anyone and everyone whose audience may be interested in learning about the extraordinary cohort of African American basketball players who’ve called Israel home. After interviewing more than 40 sources during my research and writing process, it’s been exhilarating lately to be on the other side of the microphone, answering questions about my book instead of asking questions for it. Many of those interviews will be released in the weeks ahead, and you can follow coverage of the book and my speaking engagements on the Appearances page of this site. Stay tuned for my next blog, in which I’ll detail the lead-up to the release of Alley-Oop to Aliyah and introduce you to one of the players featured in the book, who’ll be traversing the Atlantic Ocean to help me promote it!